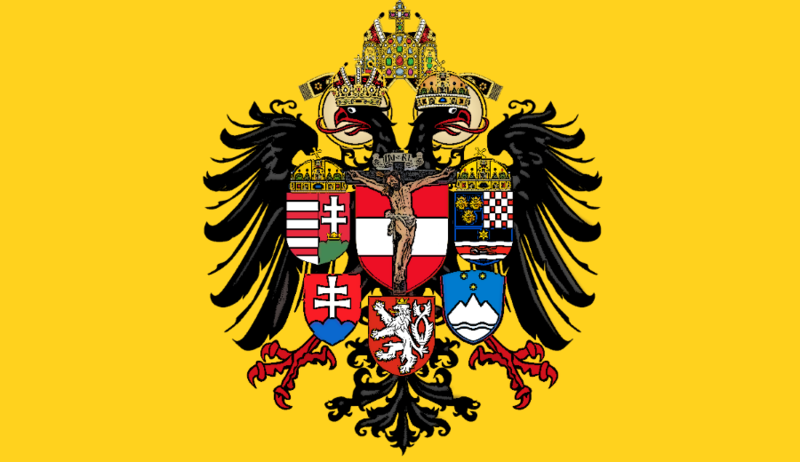 We, the Knights and members of the Hapsburg Restoration Movement, appeal now to all the races of the Kingdom of Hungary, be they Magyar, Vlach, Szeklers, Transylvanian Saxons, Slovaks, Croats, Serbs, Turks, Cumans, Szerecsen, or of any other nation. 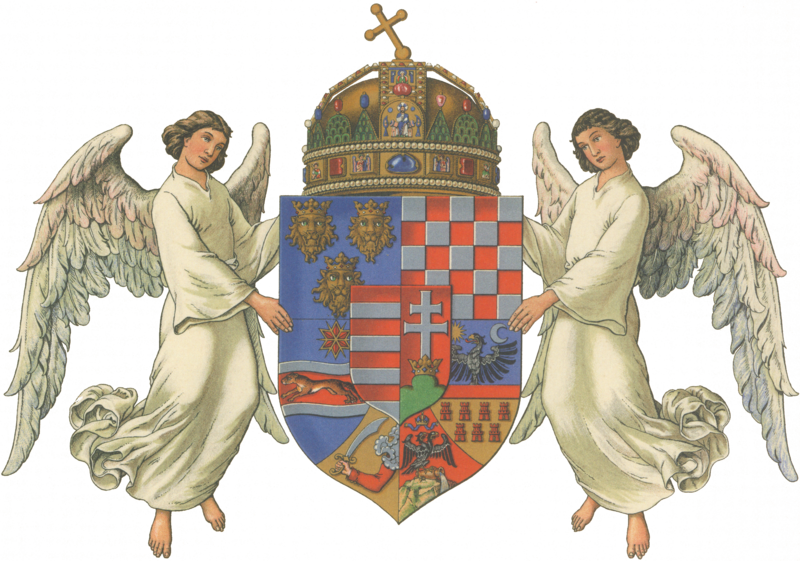 We enjoin you to aid the swift return to the throne of his Apostolic Majesty Károly V, that the suffering of Hungary might end. Has not the suffering brought by the denunciation of Legitimacy hindered the Common Good of your Country for long enough? Has not this suffering shown you the consequences of denying the laws set in place to protect the succession of the Kingdom from vile men? In the past one hundred years, many events have happened, many tragedies have happened. 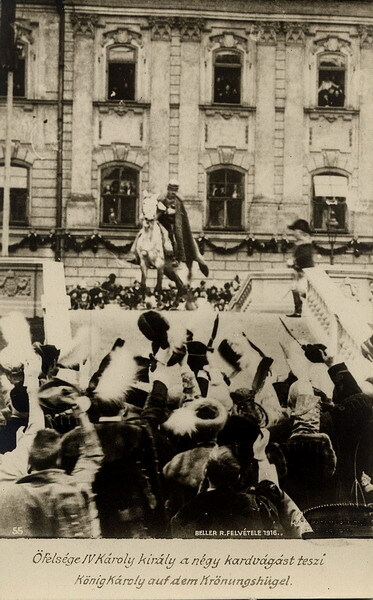 The destruction of the last remnants of the Holy Empire of Christendom, the perverse estrangement of peoples, the destructive communist regimes and their destructive falls, the rise of “illiberal democracy” which simply is a euphemistic title for slavery, and the ghastly return of populistic Nationalism. And now the current crisis facing not only the Kingdom of Hungary, not only Europe, but in fact the majority of the Civilized world, in which among even many of those dedicated to the Cross hatred has taken the place of Charity. And you of all peoples, the valiant Magyars, who came in the reign of Emperor Otto the Great from the depths of Asia, to become the very Shield of Christendom, have you forgotten that you once had a King-Emperor who ruled justly over Christian and Muslim alike, directing all to their ultimate Good and the Catholic Truth? Have you forgotten that it was your own first King who set forth for the ages the proper conduct towards foreign peoples? “God, who made the world, and all things therein; he, being Lord of heaven and earth… hath made of one, all mankind, to dwell upon the whole face of the earth, determining appointed times, and the limits of their habitation…” (Acts 17: 24,26) and it is He who arranges the destiny of countries and nations according to His providence. As He brought the wild tribes of the Magyars from Asia to become the second of Seven Holy Crowns, so would you now stand athwart his plans for the conversion of the desert tribes? Some might ask when will the Restoration of the Good come? When will we see the return of the Holy Empire which is foundation of all the Kingdoms and Republics of Christendom? When will the chains of Islam be loosed, and its slaves made into free Christian men? To this I answer, we must have faith in God’s providence, for it will be in His time that these things come to pass, but we must not neglect our part nor cause by such neglect or malice the delay in the fulfillment of His purpose. By appealing to you today, I fulfill my solemn duty, one of many to which I am freely bound, though it were another three hundred or three thousand years before that for which I labor comes to pass. Till my end I will have faith that the Holy Crown will not remain in the hands of those who like the forsworn traitor Horthy seek for their own power, but will return to him whom by right of law is bound to its duties. I did not know that there were Muslims in the Kingdom of Hungary. How was this possible? Very early in the formation of the Magyar Confederation several tribes of Turkic Kabars, as well as many Böszörmény, Muslims of various nationalities, joined the Magyars as a significant demographical entity (as well as the later Besenyö “Pechenegs”). A large part of these remained Muslim until influenced by the mass conversions of the Pagan Cumans in the 13th century, during the Mongol invasions. Many of the Böszörmény were employed as Royal administrators, and a converted Muslim, Count Mizse, was made Palatine by King Ladislaus IV of Hungary in 1290. Of course there are the minor amounts of Turkish settlers who did not flee in the advent of the Austrian Imperial Army, who later intermarried and became converted (the amount of Ottoman Turks in non-military roles in occupied Hungary was miniscule to begin with). And finally most recently you have the Muslim Bosniaks some of whom settled in various in various parts of Transleithania around 1900, as well as those in the infantry. Interestingly enough you have the Turkish XV Corps fighting for the Catholic Emperor in Galicia 1916-1917, who are commemorated by the Turkish Memorial Cemetery in Budapest. Also of note (though not directly related to your question) are the Magyarab tribes in Nubia (modern Egypt and Sudan), descents of Magyars in Egypt who intermarried the local Nubian population and incorporated the local language, keeping their own distinct culture, some of whom remained Catholic, while others became Muslim. Well, actually the 30th of December 1916 seems to be a Saturday. And the Feast of the Holy Family, promulgated by Leo XIII, was set on the Sunday within the Octave of Epiphany, the eighth day inclusive (the Sunday between January 7th and January 13th) until the reform of the Calendar in 1969 (so, those Catholics who attend the Tridentine Mass under Summorum Pontificum will celebrate Holy Family on January 8, 2017). After the reform of 1969, the Feast of the Holy Family is the Sunday within the Octave of the Nativity of Our Lord Jesus Christ (Christmas Octave), the eight day exclusive (thus, when Christmas and its Octave Day i.e. New Year fall on Sunday, the Feast is celebrated on December 30th, for instance in 2012 and 2016). Blessed Charles, pray for us! Thank you for commenting, you are of course correct. My intention was to highlight that this 100th anniversary of the Coronation (not the day itself) fell upon the day celebrated as the Feast of Holy Family according to the General Roman Calendar. I see now that this does not come across clearly in the text and it shall be amended to reflect my original intention.